How to Make Your Own Matisse-inspired Abstract Custom Coasters - Genue DIYGenue Inc. Autumn is in full-swing, and it’s the perfect time to entertain guests over warm coffee or tea. Why not spruce up your table-setting and wow your visitors with one-of-a-kind drink coasters? 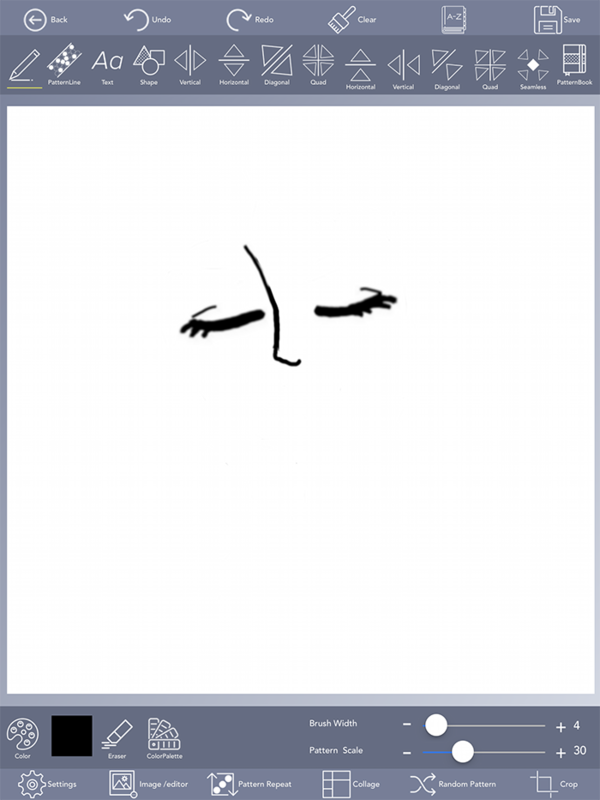 This month at Genue, we’re inspired by the chic simplicity of line sketches by artist Henri Matisse. 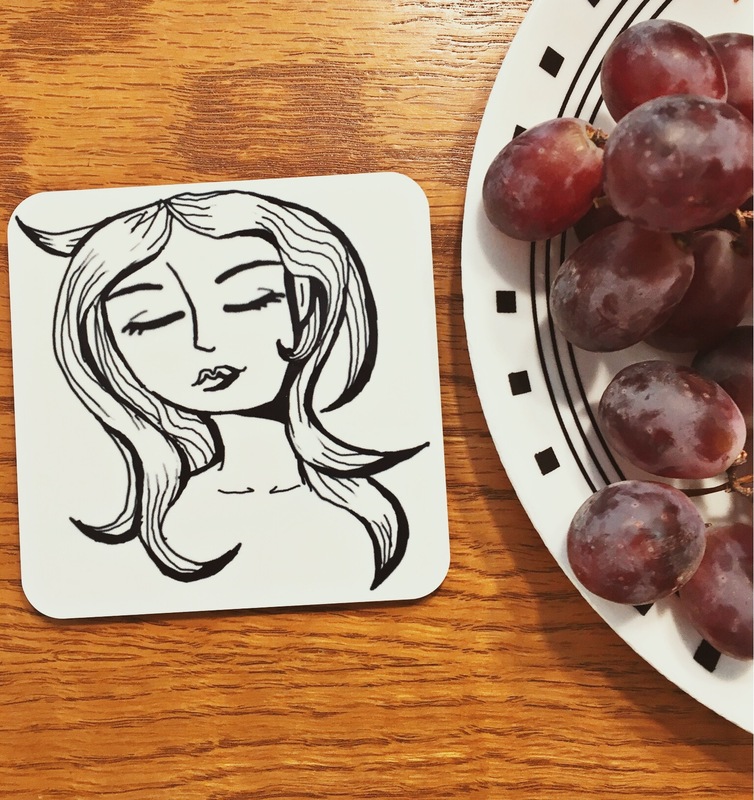 Follow along as we create our own minimalist portraits I Matisse’s style to create our own elegant coasters! Begin your pattern by picking out a color scheme. Because Matisse’s sketches were simple black-and-white line sketches on blank paper, we’ll be utilizing a similar monotone color scheme for our design. We won’t need to pick a background color this project, because we’ll be using the natural white state of the canvas as our background, so all you have to do is jump in and start drawing! To start our abstract portrait, we chose to start with the eyes and nose. Hit the ‘Freehand Drawing’ button at the top of the screen to begin, and use the ‘Color’ window to select a plain black color. Adjust your brush to a size you like using the slider bar at the bottom right corner of the screen. 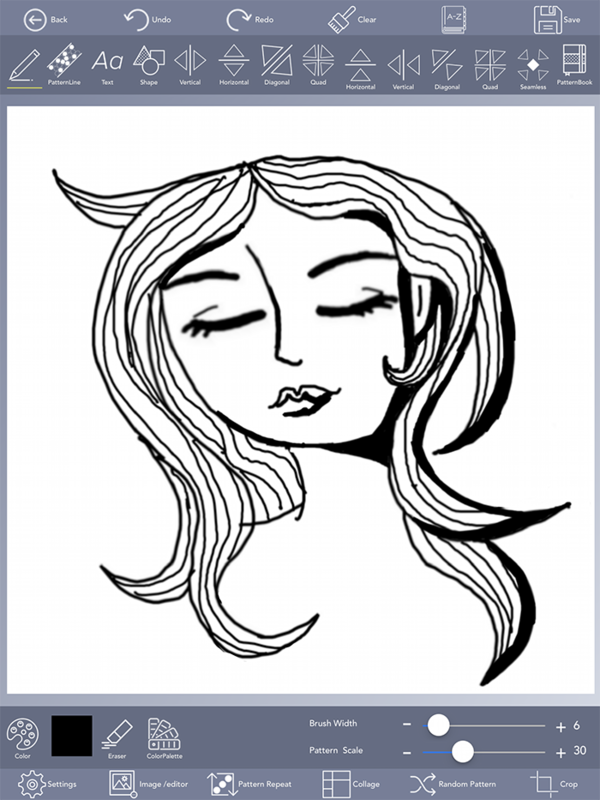 You may find it helpful to reference a photo of a person while drawing your face—you may draw any sort of expression or hairstyle you like! Feel free to get creative! Let’s continue our portrait by adding eyebrows and lips to the face. 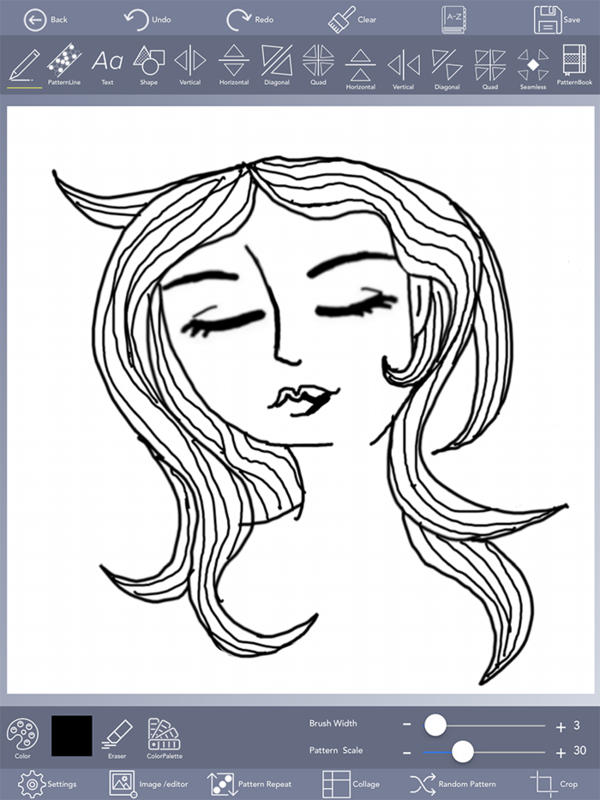 To draw the lips, draw a small ‘W’-like shape, with the lines turning upwards at each end. 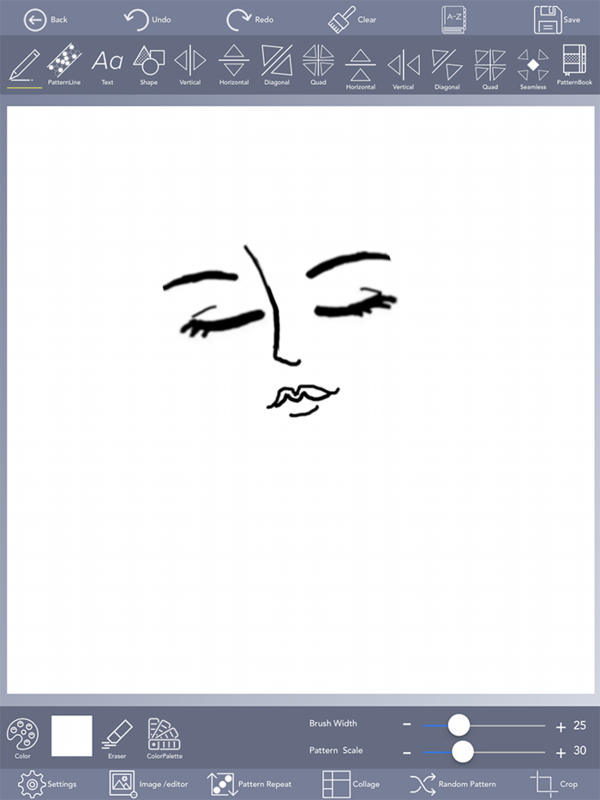 Then follow that line to draw the top and bottom lip. Next, we’ll draw the chin and neck of the face. Matisse often left parts of the face to the imagination, so be creative with how you’ll treat your portrait’s profile—we left the forehead of our face blank to add hair later. 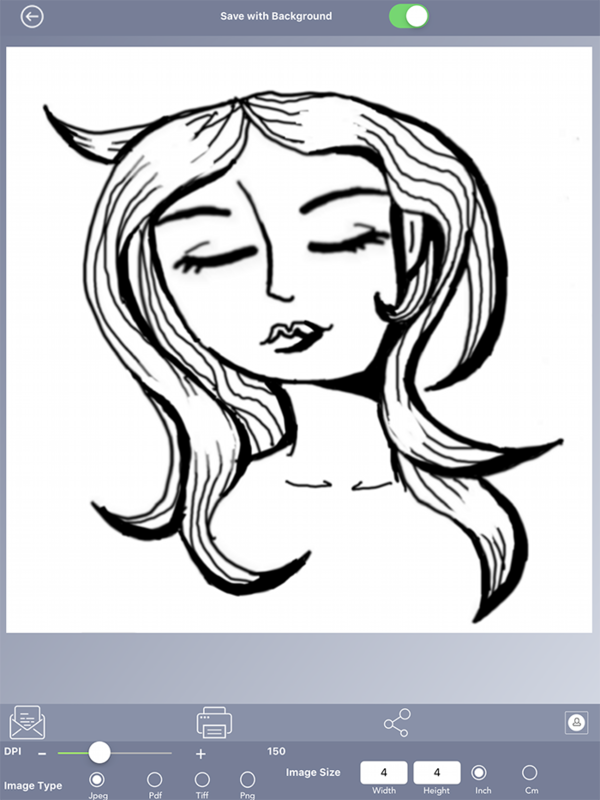 Now it’s time for the fun part—adding the beautiful hair! 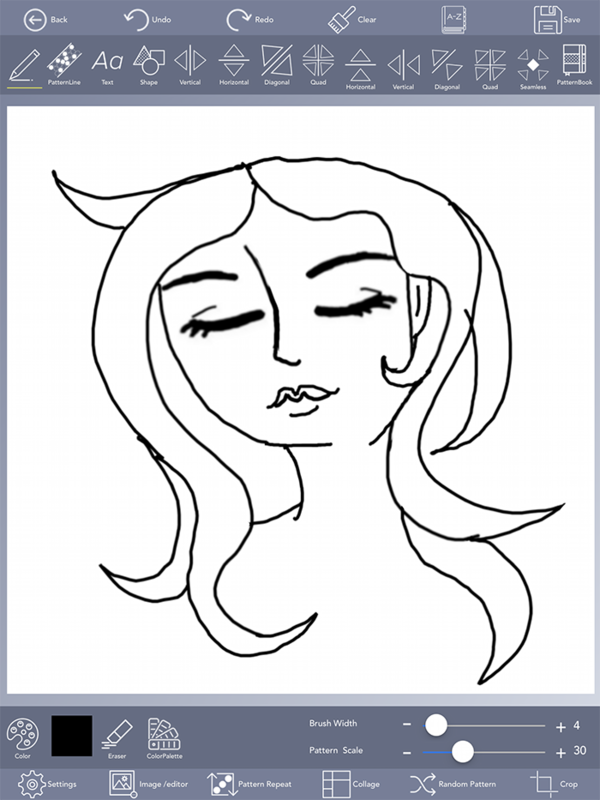 In sweeping strokes, draw the strands of hair around the face. 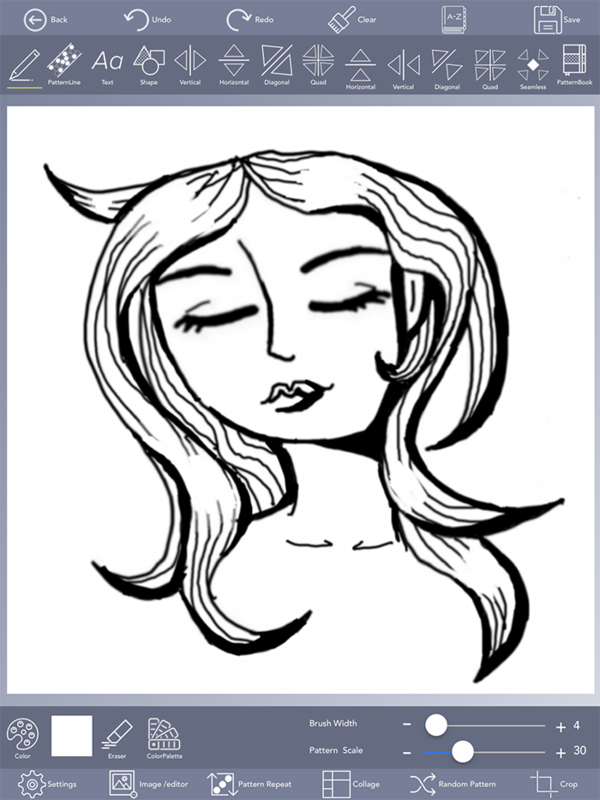 You can draw any sort of hairstyle you like! Looking good! Now it’s time for the final steps: adding some shading! Now, Matisse didn’t shade his line drawings, so you don’t have to go crazy here—if you like how your portrait looks as is, feel free to stop at this step! We just added some dark shadow around the neck, shoulders, and forehead of our portrait to make it pop and add some extra drama. Lastly, we changed our brush color to white using the ‘Color’ window, and adjust your brush width to 4-5 pixels wide. We colored over sections of our portrait’s hair in white, in order to add ‘highlights’ to the hair. When you’re satisfied with your design, simply press the ‘Save’ button at the top of the screen, and select the ‘Final Design’ option. Select the ‘Final Design’ option that’s available underneath your saved designs on the ‘My Projects’ screen. Select your Design and choose Export which will take you to screen below. Select your Design and choose Export which will take you to screen below. Our chosen Maker prints custom coasters at 3.75” x 3.75”, so size your image slightly larger than that at about 4” x 4”. Set the DPI of the image to 150, and then email either a JPEG or PNG file to the device that you’ll be ordering the towel from so that you can access the image later. This month we’ve selected Collage.com to produce our coasters! To order, long onto their site and select the ‘coasters’ product. Click the green ‘Start Your Coaster’ button to be brought to the editor screen, where you’ll be given the option to upload your own photos. 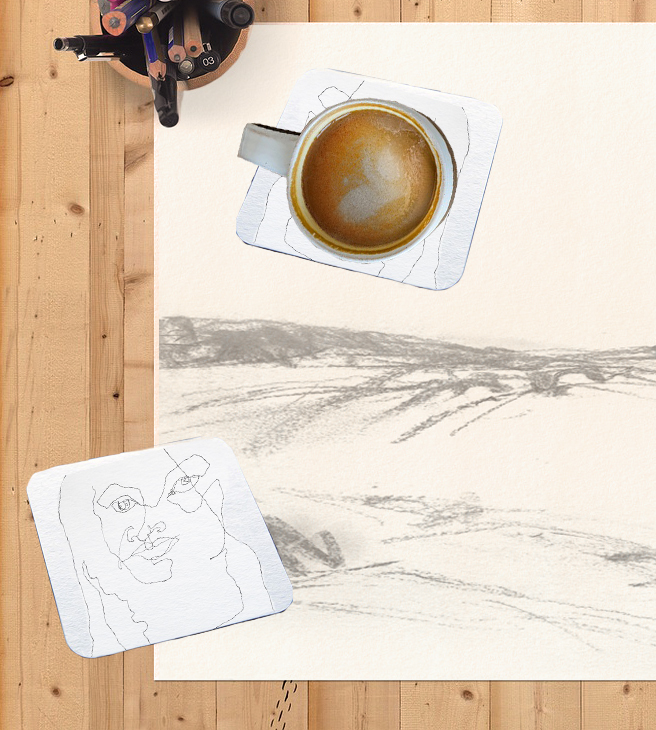 Upload your Genue design and watch it be placed onto the coaster template. In the editing screen, adjust and move your image using the tools provided. Be sure that your image sits within the blue dotted line on the template, in order for it to be printed clearly! When you’re satisfied with how it looks, click the green ‘Add to Cart’ button at the top of the screen, and complete your transaction. 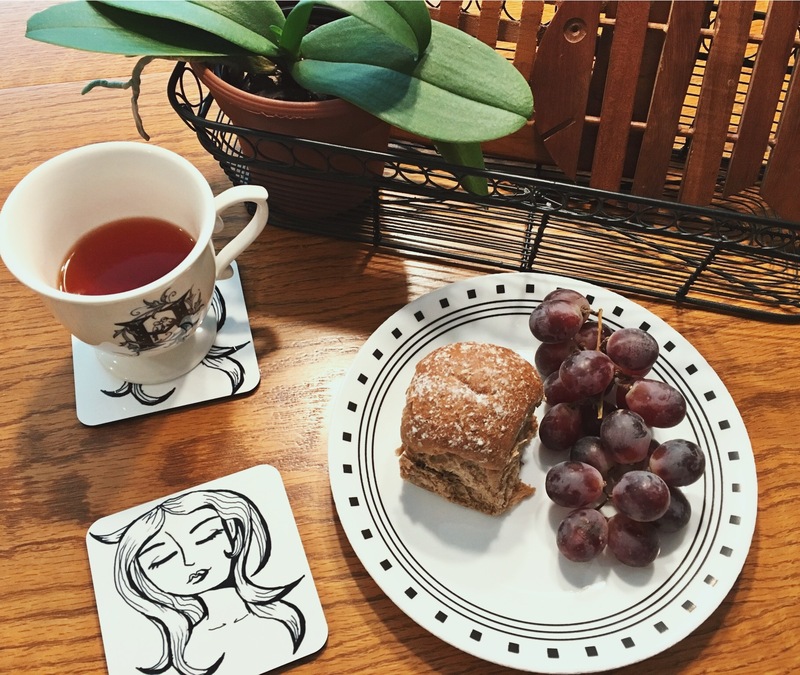 When your coasters arrive, all that’s left to do is have a cozy tea party and enjoy! Enjoy your one-of-a-kind coasters with your Genue design!